NGC 4490, also known as the Cocoon Galaxy, is a barred spiral galaxy in the constellation of Canes Venatici. It is estimated to be 25 million light years away from earth. 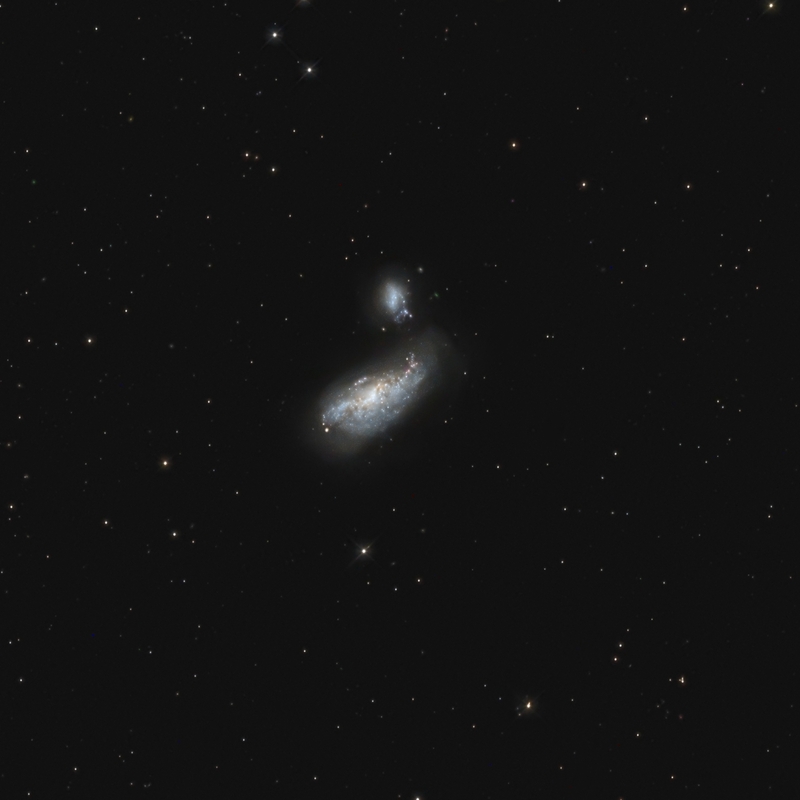 Together with NGC 4485, it forms an interacting pair of galaxies (Arp 269), which is still connected by a so-called tidal arm that reaches into space by about 24,000 light-years. This pair of galaxies belongs to the class of double galaxies with connected arms. Two supernovae have been observed in NGC 4490: SN 1982F, and SN 2008ax, with peak magnitude of 16.1 mag. The object was discovered by the British-German astronomer Wilhelm Herschel in 1788. Notes: A combination of luminance and single-shot-color images taken during three succeeding nights in my backyard.